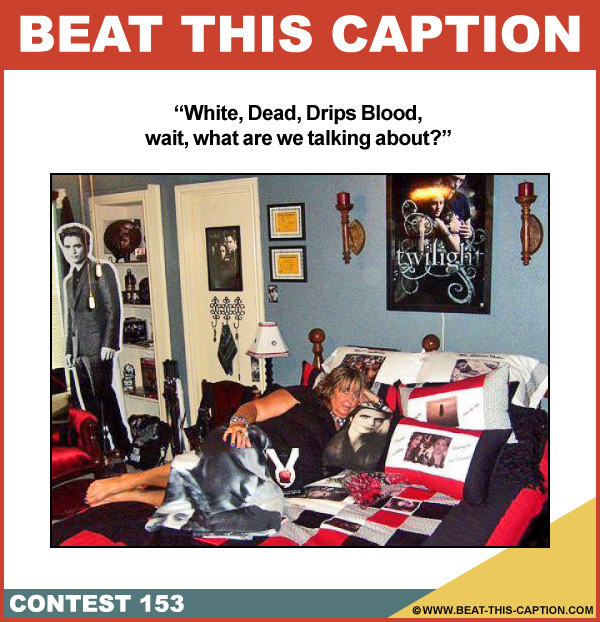 Beat This Caption Contest 153 – Caption Contest Funny Clever Witty Enter Today! White, Dead, Drips Blood, wait, what are we talking about? July 8th – July 13th 2013.